At Royal LePage, our culture is our brand and our helping culture is reflected in everything we do. This spirit of exceptional service, collaboration, support and giving back, thrives at every level of our organization - from our employees, to you, our brokers, managers and sales professionals. It is a big part of what makes belonging to Royal LePage so special, and a cornerstone in our industry leadership and success. In survey after survey, decade after decade, consumers and real estate industry professionals alike have consistently defined and associated the Royal LePage brand with trust, integrity, success, support and collaboration. At Royal LePage, we live by our motto Helping You is What We Do™. We've dedicated ourselves to serving our clients and exceeding their expectations since 1913, when industry pioneer A.E. LePage founded the company at the age of 26. A.E. 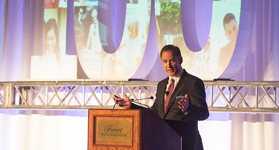 LePage was an innovator who revolutionized the way real estate was practiced. His leadership in customer service and quality, and his reputation for integrity and honesty, still thrive today through thousands of leading Royal LePage real estate professionals across Canada. Royal LePage is the voice of Canadian Real Estate, publishing reports and surveys, and sharing insights and opinion to make us the most quoted real estate company in Canada. We are the go-to resource for influential reporters, across all media channels nationally, and have earned the valued position as one of the most rational, insightful and educational voices in the real estate industry. Coupled with our industry-leading technologies, marketing services and unparalleled training programs, we are uniquely positioned to help you build a successful business and be one of the best. 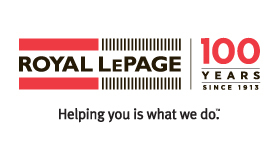 Royal LePage is the country's largest national real estate company. And, we are proudly, 100 per cent Canadian - Canadian employees, Canadian owners, Canadian values. 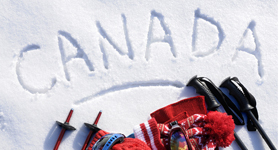 From coast to coast, and throughout all the uniquely beautiful places in between, buying Canadian in real estate means choosing Royal LePage. 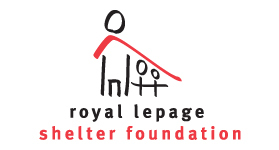 Because we firmly believe in the importance of giving back to the communities in which we live and work, Royal LePage is the only Canadian real estate company to have our own charitable foundation. Through the Royal LePage Shelter Foundation, Canada's largest public foundation dedicated exclusively to funding women's shelters, violence prevention and education programs, we are proud to make a difference in communities across Canada. We're always looking for bright, new talent to continue our tradition of success. So, if you fit the bill, we'd like to hear from you!